No cash post demonetisation? Here’s your guide to eWallets! My father once told me, “Son, once you find a good barber and an accountant, you should never change them”. Well, that has become quite difficult this last week – my trusted neighbourhood barber doesn’t accept cards and I don’t have cash to pay him! The recent announcement of the government to demonetize 500 and 1000 rupee notes has indeed caused a major upheaval in my life! Our family also knows that we might be unintentionally exacerbating the “Digital Divide” in recent days. We used to spend quite a bit of our household budget on the local grocer, but have moved all our purchases to online grocers because of the cash crunch. Stories like this are playing out across the country. 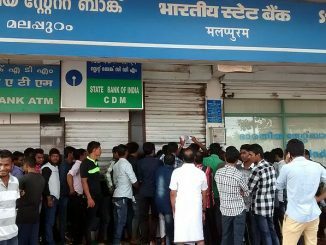 While the government has pushed the benefits of demonetization, it is being closely watched by the common man. 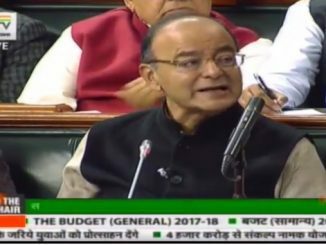 Most are ready to bear the burden in the short term while hoping for a brighter future in the medium to longer term, with lower inflation and several other positive effects by way of significant reduction in black money, corruption, terrorism and very importantly, expansion of the tax base. However, in the short term the move will mean hardship to the sections of society which rely heavily on cash. In 2015, Pricewaterhouse Coopers predicted that 98 percent of all transactions by volume happen in cash in India. 68 percent of the total value of transactions are conducted in cash. By eliminating 86% of circulating cash overnight, the cash flow in the economy has been vastly reduced, thereby putting a significant burden on sectors of the society which effectively run on cash and especially on the weaker sections of society. The hardship is being experienced by both consumers and business owners. Consumers are finding it difficult to buy essentials while business owners have seen their revenue dip significantly. The latter are also facing difficulties in paying their workers and their suppliers. Indian society at this point needs urgent solutions to tide over the created by the demonetization move. Amongst various solutions that exist to alleviate this burden, eWallets are an extremely compelling proposition to reduce the hardship for both consumers and business owners. How do eWallets enable transactions? eWallets can be used by consumers to make payments for products and services. Similarly, any business owner can use eWallets to accept payments for their products, services and to make payments to their workers or suppliers. eWallets are simple to use, are cost effective and eliminate the dependency on cash for transactions to occur. In the short-term, eWallet-based transactions can alleviate the liquidity woes of both consumers and business owners. In the longer term, they can provide a cheaper and smoother alternative to other electronic payments, while also promoting the aforementioned benefits of demonetization. eWallets can bridge the so-called digital divide by allowing small business owners to play on a level playing field with the big players. 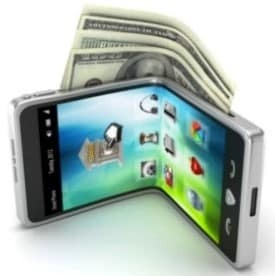 The advent of cheap smartphones and data packs and the fast growth of reliable and good Internet connectivity in the country will make the adoption of eWallets easier. Consumers can download an eWallet app onto their smartphone from the Internet and start the process of making payments. Popular eWallets in the market include Paytm, Freecharge, Mobikwik etc. An Internet connection is needed to download the eWallet, set up an account and make a payment. Each step is fairly simple. It is also quite straightforward for a business owner to accept payments using an eWallet. The procedure to download and use the most commonly used eWallets to accept payments is available in the respective links here: Paytm, Freecharge, Mobikwik. Other eWallet companies also provide payment acceptance services. The demonetisation move has resulted in many eWallet companies providing exciting offers to consumers and business owners to adopt their eWallets. While policies vary across eWallet companies, currently a consumer does not bear any cost for opening an eWallet account, depositing money into that account or using an eWallet to pay somebody; however, they could have to pay a nominal transaction fee when they move money from their eWallet accounts to their bank accounts. This is true for merchants also: It typically does not cost anything to set up your account, but you might incur a fee when you transfer the money to your bank account. The steps to transfer money to the users’ bank account vary according to the eWallet being used. The process is fairly straightforward and simple and an overview of the same may be accessed at the respective sites as shared above. It is important to note that policies vary across eWallet companies and one should understand and compare the policies and fees as well as the number of customers they can attract, and then decide which eWallet(s) they want to accept at their establishments. While eWallets are easy to adopt and use, efforts need to be made to mobilise awareness and adoption of the same. Civic groups, traders’ associations, community welfare groups should, in partnership with eWallet companies, organise awareness and adoption drives within their communities so that society and the common man can reap the benefits quickly. Group forwards on Whatsapp are the latest source of news for a huge number of urban Indians. But how much of it is authentic? How does Budget 2017 affect cities and citizens? Going cashless is ok for people living in cities. Most of our villages does not have a bank for them to get cash. They do not even have ATM cards. Where do they cash. The head of village takes advantage and lends money with heavy intetest. The government should have made adequate arrangements before launching the demonization scheme. Most of the ATMs are without cash – NO CASH boards in all the ATMs. People have to run from pillar to post to withdraw a meagre amount of Rs 2000. To meet the daily expenses, paying doctors, etc all need hard cash. Going cashless and ewallets is not easy for all the people.